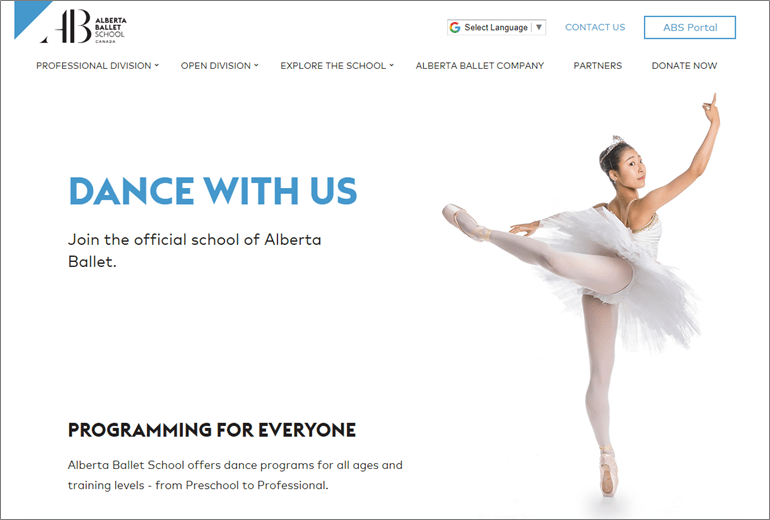 Cornerstone designed and developed a new website for the Alberta School of Ballet. The new site features a very intuitive interface, allowing prospective students to easily browse the many available programs and events. The site was built on Craft CMS allowing for easy maintenance and updates. The website is fully responsive, making it accessible across all mobile and tablet devices.